MGM GVC Partnership Soon To Reach New Jersey! In recent news, MGM and GVC partnered up to rebrand and remarket Roar Digital. According to sources, former Marketing Director of Coral Interactive Matt Prevost is now the new CMO of Roar. Also, MGM and GVC have already invested over $200 Million into the joint venture that led Prevost to his new position. With that said, the plan is to target the sports betting market in the US, starting with NJ. Thanks to MGM’s casino portfolio that includes Borgata Casino, Roar will now have first-hand access to the booming market. Furthermore, the company’s new head office is in NJ, which is a bold statement alone. However, it’s no surprise since Roar’s biggest project up to date involved the launching of PlayMGM sports betting app. Considering the company has only been around since July 2018, they’ve gained a lot of popularity in just a short time. With that said, it looks as if Roar will be around for quite a while. After all, we’re still in the first year of legalized sports betting, and major deals still happen every day. Now without further ado, let’s dive into the official word. In response, Roar’s new CMO Matt Prevost said, “This is a historic time for US sports betting and an exciting time for me because I’m going to be a part of it. 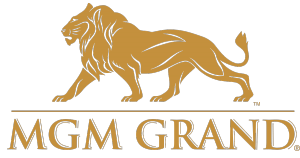 The combination of brands, technology, and market access offered by MGM and GVC gives us the platform to build a world-class sports betting operation in the US.” On that note, Roar Digital might be a stock you want to keep an eye on!